Detectives investigating the murder of a man in Brackley have arrested four people in connection with his death. A 22-year-old man, a 52-year-old man and a 39-year-old woman all from Brackley, and a 42-year-old man from Daventry, are currently in police custody. 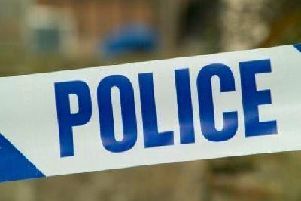 Police launched a murder investigation after a man’s body was found at a property in Old Town on Monday (June 25). A large team of investigators, led by the East Midlands Special Operations Unit major crime team, continue to work around the clock on the inquiry, police said. Officers are continuing to appeal for information and have been focusing inquiries in two areas of the town, one at a flat in Old Town and the other in an area around St James Lake, off Banbury Road. Anyone who may have seen anything suspicious in these areas or may have footage from CCTV cameras is asked to contact police. Call Northamptonshire Police on 101, quoting incident number 259 of 25/6/18, or call Crimestoppers anonymously on 0800 555111.